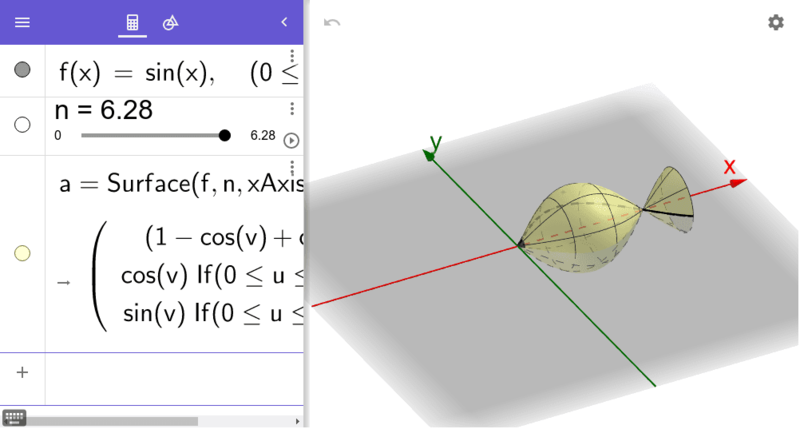 Take a look at the GeoGebra applet below, but please don't touch it yet. In this applet, the black segment is parallel the the red line. Suppose we were to rotate (spin) this black segment 360 degrees (fully) about the red line. What would be the resulting surface of revolution formed by doing so? Write your guess/conjecture below. In the applet above, slide the slider (named n) all the way to the right to test your conjecture. What kind of surface do we get? 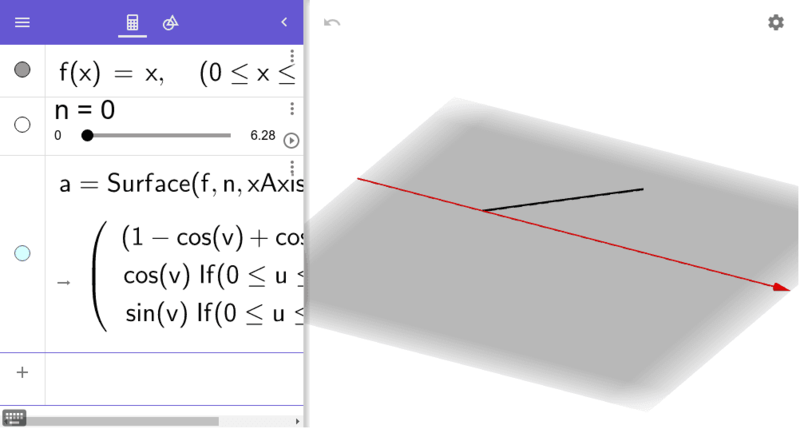 Take a look at the GeoGebra applet below. In this applet, the black segment has one of its endpoints on the red line. Suppose we were to rotate (spin) this black segment 360 degrees (fully) about the red line. What would be the resulting surface of revolution formed by doing so? Write your guess/conjecture below. Then, test your conjecture by sliding the black slider (named n) all the way to the right. 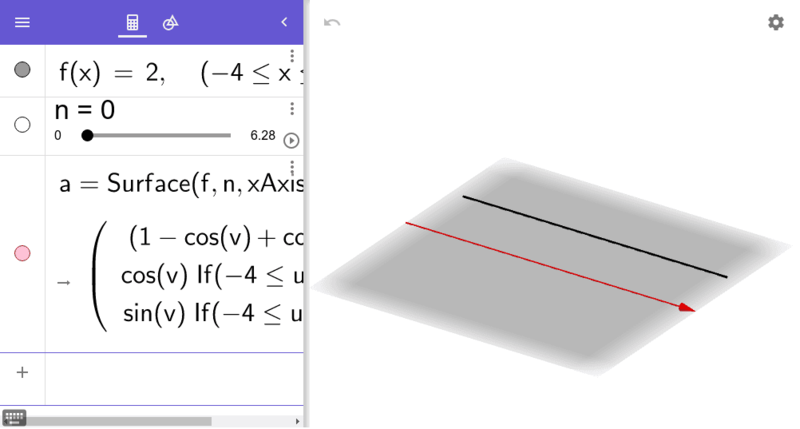 The GeoGebra applet below shows the surface of revolution formed by rotating the graph of the function f(x) = sin(x) (from x = 0 to x = 4) about the xAxis. Notice how this surface looks like a fish. How can we modify the function f above (upper left) to create a fish with an OPEN MOUTH? Try it! Any way to create a 3D surface that looks like two fish that are kissing? Try it!